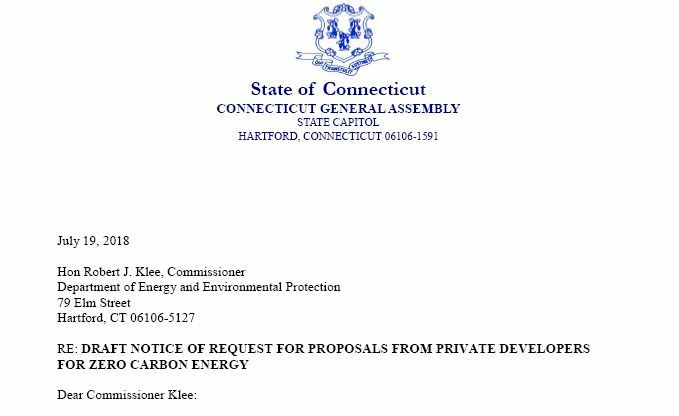 HARTFORD – The Connecticut House of Representatives was alive in debate until 1:00 a.m. on Thursday morning. During this time Legislators voted on two very important pieces of legislation, including House Bill 5210, which mandates expanded insurance coverage for women, children and adolescents. State Representative Prasad Srinivasan (R-Glastonbury) supported a Republican-proposed amendment to this bill, but ultimately voted against the legislation when the amendment was rejected 57-90. HARTFORD – The House of Representatives today approved a bill, amended by the Senate, which grants financial aid to illegal immigrant students. State Representative Prasad Srinivasan (R-Glastonbury), however, voted in opposition to the legislation. HARTFORD – State Representative Prasad Srinivasan (R-Glastonbury) today expressed opposition to the nomination of Associate Justice Andrew J. McDonald to be Chief Justice of the Connecticut Supreme Court. First appointed to the Supreme Court on January 13, 2013, Justice McDonald was recently nominated by Governor Malloy to succeed Chief Justice Chase T. Rogers. 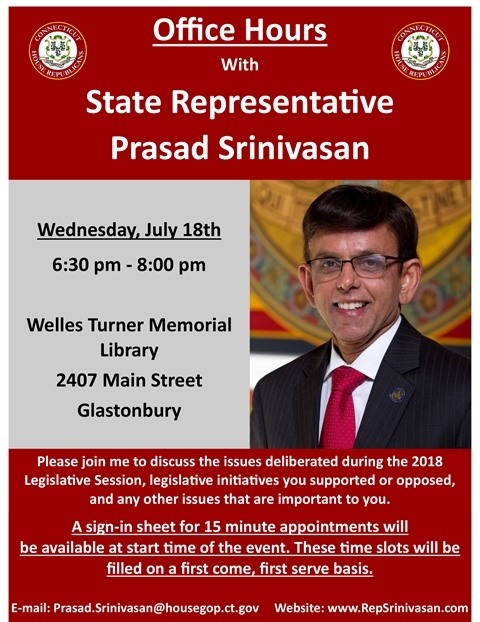 GLASTOBURY – State Representative Prasad Srinivasan (R-Glastonbury) will be holding office hours at the Welles Turner Memorial Library at the end of the month to update constituents on the status of the state budget and discuss priorities for the 2018 session. 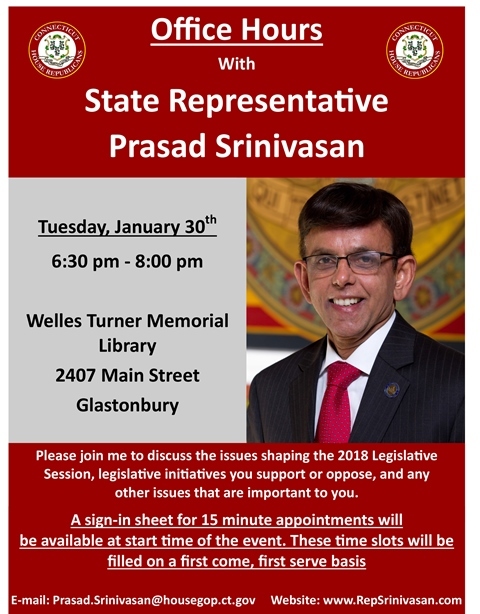 WHEN: Tuesday, January 30, 2017 from 6:30 p.m. to 8:00 p.m.
HARTFORD – State Representative Prasad Srinivasan (R-Glastonbury) on Monday voted on a plan that would provide funding for the Medicare Savings Program (MSP) through the end of the fiscal year.